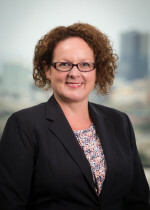 Baton Rouge, La.-based Postlethwaite & Netterville, APAC (P&N) (FY14 net revenue of $49.4 million) announced the addition of Elaine Fitzpatrick as an audit director of the firm’s New Orleans area practice, effective Aug. 11. Fitzpatrick has 19 years of public accounting experience. Before joining the P&N team, Fitzpatrick served as a managing director at PwC, where she managed public and private clients across a wide range of industries including transportation, chemical industry, engineering and construction, higher education and non-profit.